Dinosaur Comics - May 9th, 2013 - awesome fun times! 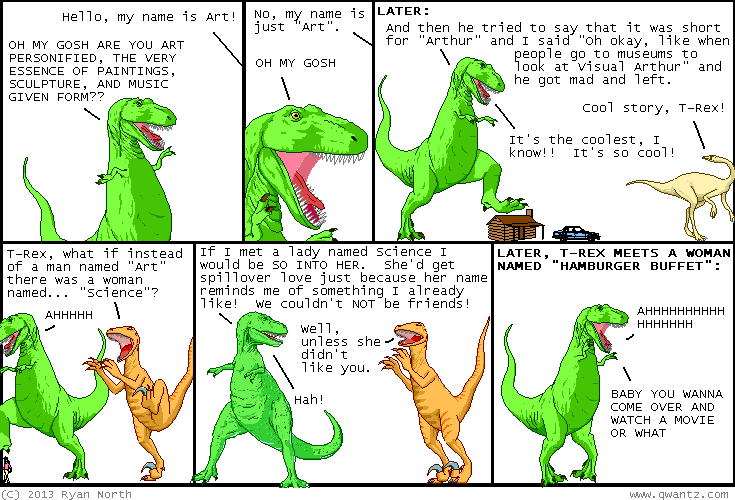 May 9th, 2013: Art's not short for "Arthur"! It's short for "Cathartesaura". OBVIOUSLY THAT IS WHAT IT'S SHORT FOR.